Author, "The Last Black Unicorn"
American comedian and actress, Tiffany Haddish has made guest appearances on such shows as, Chelsea Lately, That’s So Raven, My Name Is Earl, It’s Always Sunny in Philadelphia, The Underground, Nick Cannon’s Short Circuitz, Just Jordan, In the Motherhood, Def Comedy Jam, Reality Bites Back and New Girl. She has also starred in movies such as Meet the Spartans and Janky Promoters. In 2013, she had a recurring role on Real Husbands of Hollywood. In 2014, Haddish was cast in the Oprah Winfrey Network series If Loving You Is Wrong. She left the soap after the first season for a regular role on the NBC sitcom The Carmichael Show as Nekeisha, the semi-estranged wife of Bobby Carmichael (Lil Rel Howery). As of 2017, the show completed its third and final season. In 2017, Haddish starred alongside Queen Latifah, Jada Pinkett Smith, and Regina Hall in the comedy film Girls Trip for Universal Pictures. The performance was cited by many critics as a Bridesmaids Melissa McCarthy-style breakout. The film has received positive reviews from critics and became a box-office hit. 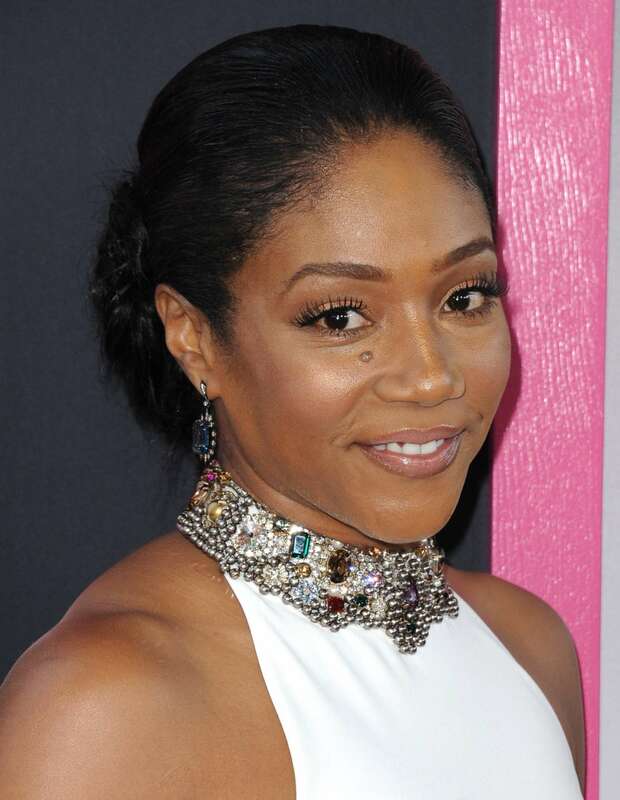 In August 2017, Haddish’s comedy special, “Tiffany Haddish: She Ready! From the Hood to Hollywood”, premiered on Showtime. Tiffany’s Memoir, “The Last Black Unicorn” was released in December of 2017. For availability and speaker fees, please contact Tiffany Haddish’s speaking agent at Chartwell here, or call +1 972 385 1021 for U.S. inquiries or +44 207 293 0864 for international inquiries.